Durham Boat Company is first and foremost a family run company, which began with Jim Dreher coaching sculling and teaching engineering to his sons. Over the many years we have grown and expanded bringing onboard new members of the team with fresh perspectives. Our decades of cumulative experience in the sport of rowing and carbon fiber manufacturing allow us to provide our customers with the very best products available on the market today. 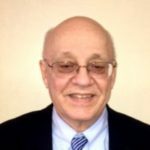 Jim Dreher has many years of experience in mechanical, engineering, the plastic industry, composite part manufacturing, rowing, and coaching. Jim was introduced to the sport at the Detroit Boat Club in 1957 when he was seventeen at the Detroit Boat Club where he won his first National Championship in the sr. 150 lb. lightweight eight in Philadelphia at Nationals. Two weeks later the same novice crew went to the Canadian Henley and rowed in the Sr. 155 lb. 8+. At the same regatta jim rowed in the 135 lb. 8+ and 135 4+ and won them all. This solidified his lifelong passion for the sport. He felt fortunate to have rowed with a group of Detriot rowers who has just come back from the 1956 Olympics where they had won silver in both the men’s double all coached by Walter Hoover a legendary sculler and sculling coach. Jim was coached by Ken Blue, who had been a champion lightweight sculler in his own right and had been the assistant under Walter Hoover. When Jim started he was thrown into a program that practiced 12 practices per week and they were subjected to rough water conditions at least once per day because the 6 mile/hour current went against the prevailing wind.on the Detroit River. After graduating from Prep School Jim went on to Michigan Tech to get his undergraduate degree in Mechanical Engineering. He began his career in Detroit working at GM, Holly Carburetor, Uniroyal, and then started his own plastic business, Thermocraft. At the same time he continued to row for the Detroit Boat Club and was also asked to coach while continuing to row as well. Jim moved out east to continue his career in the automotive industry in NH in 1971 and there founded the University of New Hampshire’s / Durham Rowing Association in Durham, NH. Two of his initial UNH athletes went onto to complete in the Olympics in 1976. By 1978, he started the Durham Boat Club. Durham Boat Club’s initial focus was on junior rowers, who gradually made to the elite level and in so doing attracted many of the best light weight men to Durham Boat Club to train in the summer. This led Jim to form the Durham Boat Company in 1982 with its motto of providing “Best Rowing Products from Around the World”. Later the focus was changed in the late 1990’s to providing the “Best Rowing Products to the World”. As the club got more successful and the emphasis was how to provide equipment and coach techniques to maximize performance the focus changed to focus on providing innovative performance designs first in manufacturer of carbon composite oars, other rowing related rigging components products and indoor rowing tanks. This was done in close conjunction with his son’s Bob and Mike who were key to carrying out the new vision of designing rowing equipment with innovation, performance and quality in mind. The biggest game changers were the adjustable length oar in 1991 and Tool Free Adjustable Bearing Surface, Collar and Total Length adjustment in 2015 (sculling and 2017 (sweep), Aerodynamic Sculling Oars (the Aero scull with a foil shaped shaft in 2009 and the EH/EHX in 2011 and EA/EAH in 2014 and Sweep Ellipse all with elliptical shaped shafts, Apex E blade equipped with the tool free adjustment feature adapted for sweep which was tested and raced late 2016 with a production release scheduled for early 2017. Over the course of Jim’s career as a coach and engineer his athletes and the products designed and manufactured here have raced at all levels across the globe. From racing as a lightweight and being in a winning program at Detroit BC to coaching on the World stage, Jim Dreher has lead the effort to develop high performance carbon composite parts and has developed a wealth of experience with the sport. Jim is an avid reader and likes to x-country ski in the winter. Coleen Fuerst has many years of experience in rowing, coaching and engineering. Coleen had her introduction to the sport in 1970 while at Syracuse University. While there was not a women’s rowing program at Syracuse at that time, Coleen found her way into a single scull and quickly fell in love with the sport. After Syracuse started her career at GE in Schenectady and then relocated to New Hampshire to continue her career. There she got back into rowing at UNH while attending graduate in Civil Engineering there. 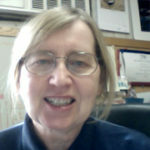 After a few more years of rowing for UNH’s program Coleen and winning 9 national championship in rowing during the summers, she began coaching at Durham Boat Club in 1978. She and Jim developed many athletes at Durham Boat Club. Many club member won at Stotesbury, NEIRA, Canadian Scholastics, Canadian Henley, HOCR and to compete at prestigious races at Junior, Intermediate, Elite National Championships. Coleen continued to coach, while working for GE. She and Jim coached trials boats that competed at Jr. Worlds three times (a Junior women’s 4x+ in 1983, a Junior men’s 2x in 1986, a Junior, U23 Worlds twice, Pan Ams (3 boats qualified in two different year) and Elite Worlds (6 boats qualified in three years). In 1990, Steve Peterson and Bob Dreher won the WRC in Tasmania. Several of the Athletes that both Coleen and Jim started or coached at some point in their competitive years, went on to compete and at World Cups, Jr. Worlds, U23 and Elite Worlds, Olympics and a few went on to win medal there. Many of he athletes had successful careers and their competitive rowing years and some even went on to coach. In 1996 Coleen joined Durham Boat Company having been closely involved from a distance for many years. 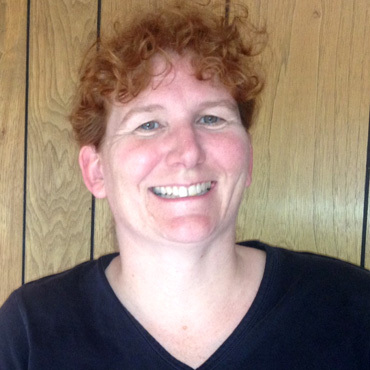 As President of the company Coleen oversees the day-to-day operations and manages the indoor tank product line as well as continuing to give sculling lessons both in the tank equipped with Force Measurement Instrumentation and on-the-water. In the winter Coleen enjoys x-country skiing and table tennis. As a junior, Jean was very successful at Junior and Elite Nationals and competed at the 1983 Junior World Championships in Vichy, France in the highly competitive quad. She has also won events at Canadian Scholastics, Stotesbury, and Canadian Henley. She continued rowing at Cornell University. After first making most of the carbon fiber parts that we designed, Jean now works in various office positions and presently is our Inside Sales Manager – Inside Sales & Customer Service. She also continues to give lessons and coach. Jean enjoys reading, gardening, and x-country skiing. Bob Dreher has been with Durham Boat Company for over 31 years acting as one of our chief designers. Bob most notably developed the design and processing for one of our most successful blade shapes: the Apex. In addition, Bob has played a critical role in the design and development of numerous Dreher products: sweeps, sculls, seat tops and our first foot stretcher design. He also designed a FISA single which he produced for a short period of time. They are still out there and being raced today. Bob a successful oarsman himself who raced at the World Championships in 1989, 1990 and 1991. At the 1990 Worlds in Tasmania, he won in the Lightweight Double with Steve Peterson with sculls that he designed and built. Bob was named the Rowing Man of the Year in 1990, Rowing nominee for the Sullivan award, and was inducted into the Rowing Hall of Fame in 2005 with his doubles partner Steve Peterson and his coach. 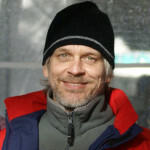 Bob is an avid snowboarder and enjoys x-c skiing. 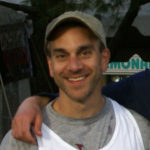 Mike Dreher also competed in sculling and medaled in the Pan Am games twice: once with his brother Bob in 1987 in a Lt Wt. 2x in indianapolis and again in 1995 Lt. Wt. 4x Argentina. He competed in the lightweight quad at three World Rowing Championships (Tasmania, Vienna and Montreal) where he made the B final once and the A final twice. He won numerous titles at Canadian Henley in the 135 lb. single and the 140 lb. double and in the Elite Lightweight quad at Nationals. He raced in the Blackburn Challenge in our Rec-Racer and won the event twice, setting the course record both times. Mike designed the original Aero aerodynamic sculling oar which won a Society of Plastic award for the design. He also designed Alpha sculling oar with the Tool Free Adjustment feature. The hollow wing rigger is his design, along with many of the foot stretchers. He also has done some impressive confidential designs carbon composite for customers outside the area sport of rowing. Mike is an avid ice hockey player and coached rowing and his sons’ ice hockey teams. Mike also enjoys x-c country skiing when the weather cooperates and won the x-c ski race up Mt. Washington in the past.